I have a favorite Chinese restaurant (Kwan’s Cuisine), and my favorite dish there is Moo Goo Gai Pan, which literally translates to button mushrooms and sliced chicken. I learned how to make it myself before I started following a low-carb/controlled-blood-sugar diet, and I was sad that I wouldn’t be able to make it again until I had my health under control. It was doubly sad because my family loved it and would scarf it down without complaint. But as it turns out, I gave up too soon. It’s entirely possible to make this dish without using anything on the verboten list, and here’s how. First, combine the meat and marinade ingredients in a qt. sized Ziplock bag or bowl and put them in the fridge while you get everything else ready. You want to let it sit for at least 15 minutes, but don’t leave it in there for hours or the chicken will be unpleasantly strong. For the sauce, combine the chicken base and water in a bowl or large Pyrex measuring cup. 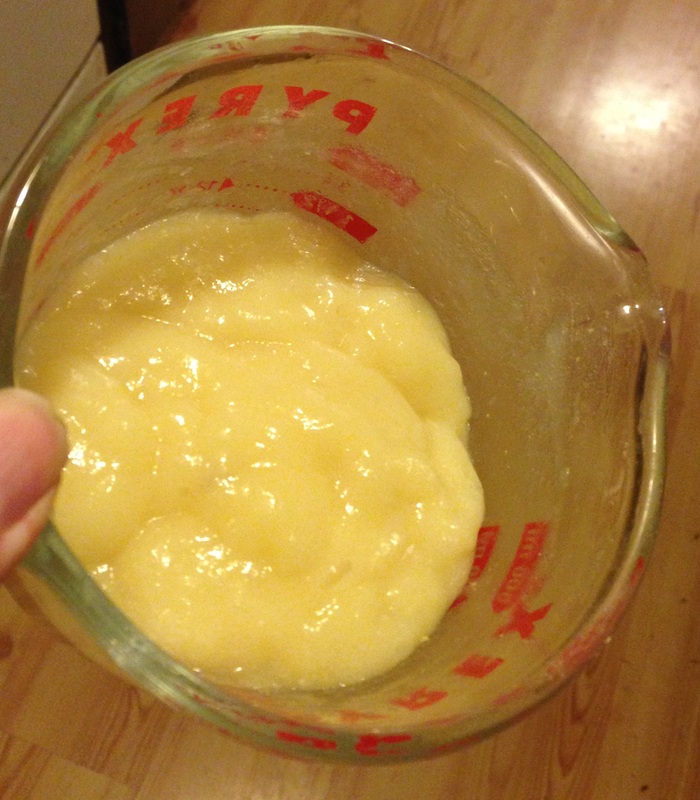 To thicken it, finely sift a little of the xanthan gum into the liquid and use a small whisk to mix it in completely. Keep sifting and whisking until it is the consistency of half-set custard. It will not be the most appetizing thing you’ve ever seen, but there will be liquid in the stir fry when you add in the sauce, which will thin it down to a nice gravy. Set the sauce aside. Slice all the veggies and have them ready to throw in the pan. Since the leafy portion of whatever type of Chinese cabbage you opt to use will cook much more quickly than the firmer white portion, keep the leafy portion separate from the other vegetables to add in when you’re almost done stir frying. On high heat, heat some oil in a wok pan (or large saute pan if you don’t have a wok). Add the chicken and all of the marinade ingredients to the pan. Cook until the chicken is done, stirring frequently. Pour all the chicken and sauce into a bowl, and set aside. Heat a little more oil in the pan. Add as much grated ginger and minced garlic as you want to; I use about 1/2 T of each. Stir it around for a few seconds, then add all the vegetables except the leafy portion of the cabbage. 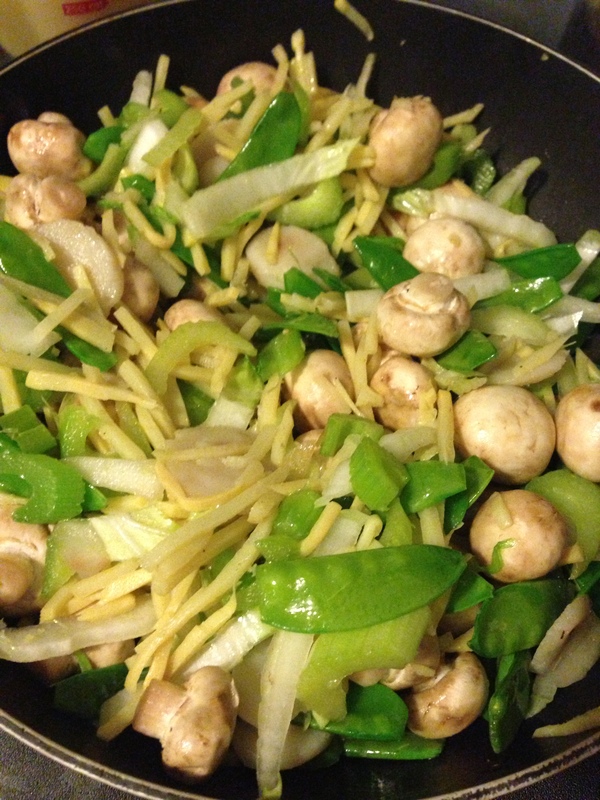 Cook until the vegetables start to get tender, and then add in the leafy portion of the cabbage. When it starts to wilt, add the chicken and its sauce to the vegetables and thoroughly combine. Remove the pan from the heat and stir in the sauce. 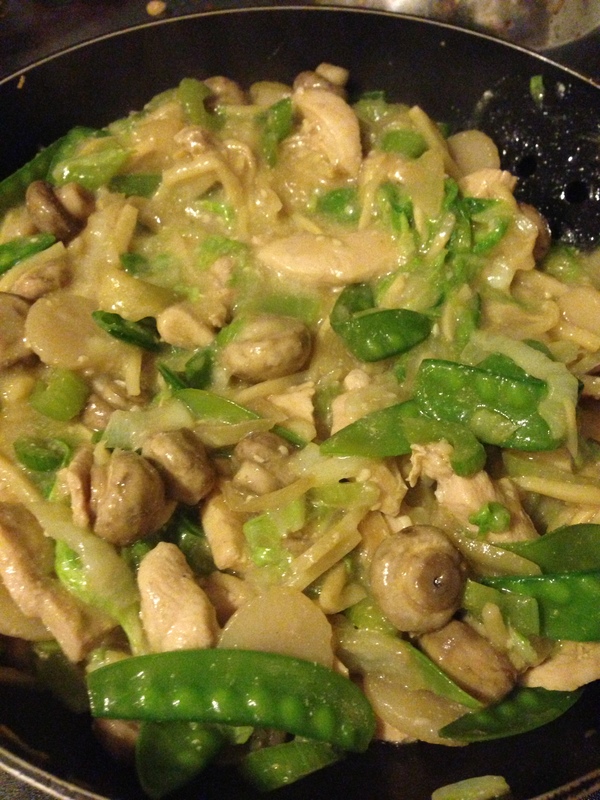 Once you combine everything, you should have some lovely stir-fried chicken, mushrooms, and vegetables in a light gravy. If the gravy is too thick, combine an extra 1/2 C water with 1/2 T chicken base and add it in to thin it down. If it’s too thin, sift a little xanthan gum over the ingredients and stir everything really well. Serve with rice, mock rice, or shiritaki noodles. One fourth of this recipe only has about 320 calories, and that’s a pretty big and satisfying serving. Enjoy. I am so glad I came across your blog!!! Being a fellow Low Carber, it is awesome to find some different and awesome sounding recipes to try! Thanks!! !